We are changing to a FREE SHIPPING model for most of our products. Baseball Draft Kit with 1 X 4 inch American & National League Player Labels.There are 397 AL players & 378 NL players plus blanks for each position including: 1B, 2B, SS, 3B, C, OF, SP, RP, & DH. 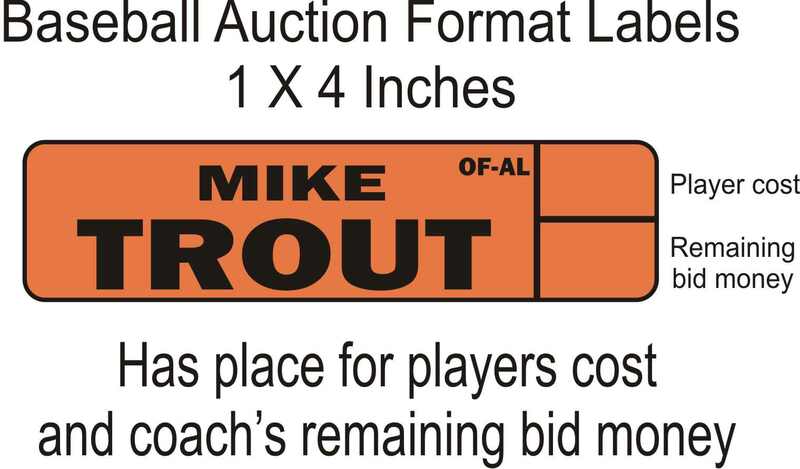 The Baseball player labels are all auction format. This kit comes with your choice of a 8, 10, 12, or 16 team draft board. 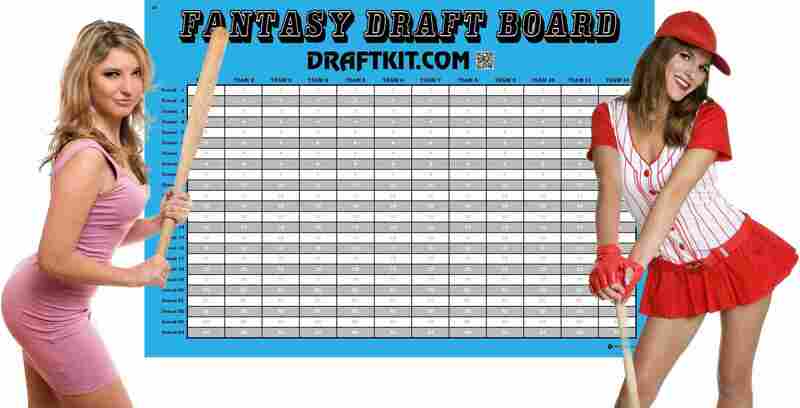 Included for free with every baseball Draft Kit is our Draft Board Personalizing Kit which has labels for your League Name, and Team Names, which are easy to print out using our online templates. Since most baseball drafts are auction style, we also include a free set of Draft Board Position Labels that you can print out as needed and convert your draft board for a position based draft. To add a draft board stand or extra grid for more teams, click on one of the links below. Make sure to fill out all options so you get the kit you want. If you are ordering more than one different style or size Draft Kit, add this item to your cart separately for each different style kit you need. EASILY the best place to order baseball and/or football draft boards and player stickers. Fast shipping and very well put together products you can find only on their website. I only go thru them. Their player labels are deep and they send extra labels too just in case you need a write in. GREAT PRODUCT! We've used the baseball combination draft kit in our league for years. It is a quality product; we have a deep league, but rarely need to write names by hand on draft day, And now there's free shipping!!! We highly recommend this product and service!